Almost a month ago Google announced Duos with a aim to compete Skype on Video Chat segment it was then only have Skype and Google's Hangout on that segment but within a months time two major chatting app WhatsApp and Hike joins the crowded market. 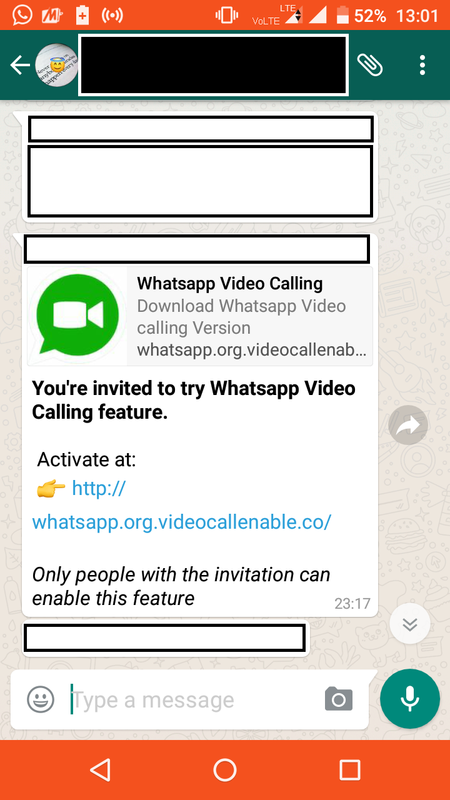 WhatsApp Video Chat as of now is in Beta Version soon to be launch, Hike already made Video Chat available in Android soon to be launch in iOS. Hike was testing Video Chat since September with some selected group is now live the feature in the Apps as per the report. Hike App is one of the popular App in India covers over 100 million users from it 95 percentage is Indian users according to the company. Hike is one of the first to make stickers popular and its Indian based stickers are famous among the youths. 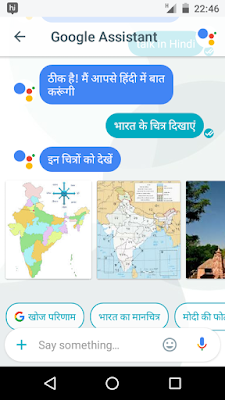 Now chatting App like Allo which got motivated and implementing stickers are way to go on competing with Hike on its local look. Skype and WhatsApp is popular among professionals as both are quite simple and to the task unless like Hike which offers News, Games and many more service under their belt also upgraded to 8 Indian Language which help this App to built a new spot. Today if Google trying to find is place in India then its after following the footstep of Hike only. Although Google will be 1 step away and that is because of Google Assistance but still lots of question mark are there on the future performance and Google needs to answer those with the time. 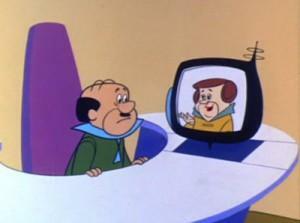 WhatsApp still hasn't rolled the Video Chat officially but it released for Beta Users. As per Beta Users App is not stable and having lots of Bugs hence unless WhatsApp not fix those it won't launch officially by that time line. Overall the era of Video Chat has begin as many Chatting App first moved towards the Voice Chat App and after got upgraded they now moved towards Video Chat. Pressure for Google Allo and Duos since both App serving the purpose separately. Although Google has added that soon Hangout will be integrated with Chrome so that during conversation Users can have the web access as well. Let see which App dominates on Video Chat since Apps first task would be to provide a platform which can work efficiently through 2G network and then it would consume less battery. IMO App has this Cons but quality of Video Streaming is extremely poor hence this App is not so popular among the youths. Slowly slowly 4G deploying in the Country and after its complete role out surely prices will come down as well in that case companies to wants to join into the race of new innovation with every possible feature it can. There is nothing to hide that soon the way of talking will change and soon Voice call will become the outdated way to connect with each other. Recently Youtube and Hotstar leading OTT platform from STAR INDIA launches the Resume feature which indicates subscribers that exactly when they left watching the video. For Youtube if users are login into the system and watching any stuff and then for some reason left the videos in between then after login back if user watches the same video it will get resume from the moment it left. This is now officially rolling out and this great feature is quite helpful for those who orders the movies from Youtube. Its quite painful in Youtube sometime ago when you wanted to watch videos in between you scroll the pointer in the timeline you wanted but at the end it keeps on loading because of slow connection and then till that timeline unless and until entire video won't be loaded nothing would run that period of time was so frustrated that you must have feel that better you watch it same again by putting data on the line. This practice consume lots of Data, Time and Effort. Since Youtube becoming the one stop destination for youths it is quite obvious Youtube fixing the issue which might be painful for the youths. Similarly even Hotstar following the footstep of Youtube after Offline feature they too launches the Resume feature. Hotstar slowly - slowly becoming the one such platform for youths to watch paid and free contents after Youtube, including sports, movies, music, tailors and series from STAR and HBO Originals they're putting a efforts to bring everything under one roof hence implementation of any such feature would be blessing. Number of Public Wifi are increasing day by day even Reliance Jio going to launch paid Wifi packs which will help youths to download their favorite contents from the apps and watch it offline at any time as per the convenience. Youtube already included the features like low resolution videos in low speed connection it means they're in verge to end the buffering from the videos as if its may be compromised with the quality but atleast should work and play. Many companies are luring people by bringing night datas by aiming to this smart offline downloads, leading telecom company of India Airtel even made a tieup with Youtube so that subscribers can mark the videos for offline and with night data one can easily download the video and can enjoy anytime. Now whenever you gonna check any history of video you have watched before you will found that a red strip is now visible which is a indicator that how many videos you have watched and duration of it. Whenever you will click back to those videos you will found that the videos will continue from where you have left. Thats a great implementation by Youtube as it will not consume enough of data and effort. Similarly even Hotstar too launch this feature you may not able to see any such indicators in almost all videos but regarding the playback it will resume from the same its been left. Earlier a year ago Youtube successfully launched Offline feature which is now adopted by Hotstar from STAR INDIA as well. Offline Feature in Youtube was not available before in every videos but slowly they has pushed it in every uploads. Similarly in Hotstar as well you can very easily downloads movies and series and watch it any time. This will help subscribers to be flexible with datas also will be a push for Night Data Packs which is possibly going to be a future hot pick recharges from Telecom Companies. Whenever you founds a settings icon in the video means that video is available offline and you can download it for future viewing. The same icon can be found in Hotstar as well although they themselves will recommend you regarding it. So its not tough to understand about it and not a toughest to find the option. These videos are also available on different available qualities. Normally every phone supports HD ready resolution of 720 p hence maximum videos highest quality resolution will be 720 p and not more then that. Size is also differ according to the resolution hence you always have a option which one to choose for and best suitable for viewing. You can later watch these videos in separate options like Offline Videos or Download option in Hotstar. Until and unless video license are available from content provider you can watch it at any time as many time as you can thats the coolest part of such offline features because many time you like to watch same videos again and again in different mood of time as well in that case you will find the video and cost your data to replug it is not something you likes about. Hence its a savior for viewers and hats off for the effort made for the same. Oct. 4th big announcement was made and that is off what Google's new child project is termed as "Made By Google". A attempt of Google to conquer the hardware segment and also to make a push of software with their innovative plannings. Google has bought a lot of products in their recent "Made By Google" Event. After having a successful outing with Nexus with different Manufacture partners first time Google jump to have their own phone known as Pixel, have done on Vlog on Google Pixel and can find out What Google is offering with all new Google Pixel ? Google bought other products as well in the event like a late attempt in VR segment but looks to be promising, Google Home a Google Assistant which reached quite near to people now and ready to serve the people more effectively and more efficiently by connecting all Smart Device with the Google Home and let Google understand you with your voice and done the job for you as per the command given to it, Google Wifi too launched with a thought in a mind that one Wifi is enough to connect all the devices in the home with the proper internet speed, more stronger Chromecast launched with 4K Support can find out more about these devices in our segment of Made By Google Vlog. Google never tried and thought regarding the hardware division hard though they did bought the struggling Motorola but despite of going forward they sold to Lenovo may be they thought that its not feasible to run the thing which was never of their cup of Tea or might be they don't wants to take a extra pressure to maintain the brand like Microsoft did bought Lumia but ultimately struggled to boast the brand or even struggling to maintaining it as Former Nokia currently Microsoft Lumia struggling for its existence. Google may tries to bring lots of innovation in the market and even moved with OS upgrades as well but one think Google realized that they will not get any independence of what they tries to bring regarding the software in the market, they always have to face the manufacturer companies custom upgrades which may excludes Google's some of the essential Apps to be out of the list. As we all know Android One and Nexus is one such projects which Google got some free hands they wanted but still its a collaboration with the manufactures and not the individual project completely. After material design Google has upgraded every by default app and introduced some of the Apps like Inbox, Allo, Duos are famous among them and even promoted as well the reason being of its importance, Inbox App is a newest platform of Gmail, Allo the new Chatting App, Duos the new Video Chatting App despite of having a existing Apps Google bought the new Apps which might they have a Independence in a innovatory part but not in a Hardware part ultimately their hard work not treated like what they're expecting for. Google might needed it desperately because of series of updates in Apps, launching new ones and ofcourse a new OS. Google must be wanted the independence in Hardware segment as well must be wanted the planning control in Storage related allocation when they rolls out the new innovation. There will be only Google interface and no other interaction of Manufacturers personal UI and choices of App. It means Google will have the full control of devices. Storage is a one such issue Google is getting challenges even to rolling out the updates, Android is a partner company for the Manufacturer as they have taken a license for the OS but to keep the brand Manufacturer companies put their own discovery and get clubbed with the OS they have licensed with Google. For Google they too can't expect a full fledged independence on the entire process of the device as Manufacturers are more efficient then Google in this part. Its not like Google will even think about it many time as they have a license to provide support not a duty to maintain the mobile model. Bringing Hardware division home is also kind of strategic planning as whenever leadership changes the thinking to work also changes probably Sunder Pichai thinks that its a right time to face their major competitors from all department or might be thinking is changed on Google's efficiency that they can handle the pressure to being in hardware segment and even if its fail then they're always a one step ahead from the competitors on software segments or keep doing for what they known as Silicon Giant. Keeping eyeing on biggest competitor of Google and that is Apple who're keeping their fans a full of excited with all new iPhones in 1 or 2 years timeline so that people remain engaged and never thinks about switching as their first targets are youth and gadget freaks who never settles down for one piece always wants to remains upto date in that case Apple fans are always waiting for the new series and numerical no. continues with magical figures in business as well. Chinese brand like Mi too coming with findings of their own although taken a support from Google but the UI on their phones are designed by Mi only. It is good for Google to be remain doing for what they're known for and conquer something which they wants to. They have lots of patent and even unsuccessful products but yet by innovation they sets the bar no matter it might be a commercial failure. From Google Glass to Google Car they keeps on innovating to make sure that Google rules in a market for the company like Google they surely wants to see in a space of a Mobile Division and in a smart products which supports their dream project Google Assistant. No matter as per reports Google Pixel may be build with the support of HTC but atleast they have the brand which has Google Logo and known as with Google brand and comes under their Child project Made By Google. Well Google Allo launched a week back with lots of expectations in the market against dominate WhatsApp, India's popular messenger Hike, quite a unknown to many Telegram, We Chat and Google's own Hangout, Facebook Messenger etc. Since Google's excitement doubled after getting a positive response for Google Duos. Suddenly feelings was quite high as well for the same for Google Allo as well. But question arises that why need a another messenger app ? Whats Special on it ? Why Google launched Allo despite of being presence of successful Hangout atleast in almost 90% Android devices comes with Hangout and devices which comes with iOS supports Hangout as well. Considerably Hangout's presence is more then even WhatsApp in terms of Mobile Devices. 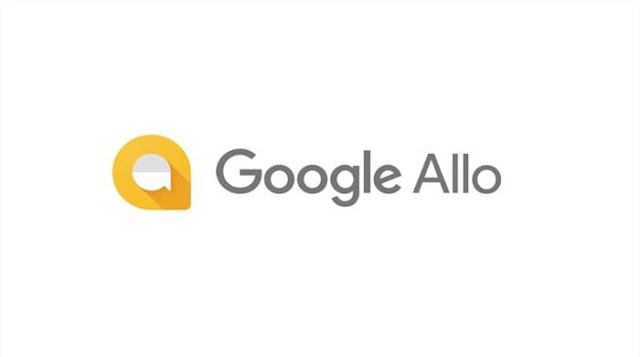 Logo of Google Allo belongs to Alphabet Inc. Although Hangout is still present and Google made a iOS version of Allo as well since Google must wanted its launching in a grand way and not wanted some exclusive tag benefiting Android since its not a tool dedicated to Android but separate dream project of Google itself but question again arises that why need a separate App or why need a another App ? Even if they come up with will it rock infront of Peoples. We all know Google's legacy to try something on innovation its like Gamble for them whether it will success or fails they will keeps on trying to reach into the next level. Well since Google's preparation always gone great there might be space of Allo as well since Google Duo is already rolling out with pre loaded with new launches of Micromax Phones. But suddenly it will be the thing of acceptability that whether peoples are fond enough to have that app installed in their phone ? Although its a messenger app and might be there is a possibility that people do keeps the Allo because of Google Assistance otherwise people won't inclined of it if they don't have people to talk or have a group on it. 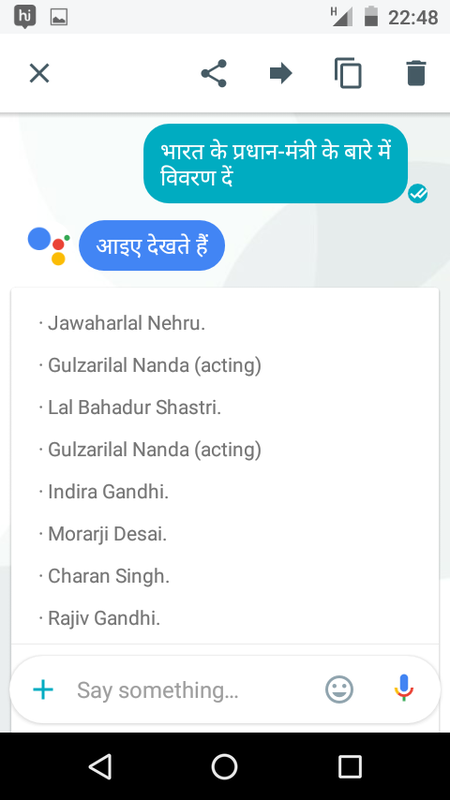 The unique thing of Google Allo is that its a machine learning tool courtesy of Google Assistance. That Allo might be the breakout App for those who Googles a lot on Google. 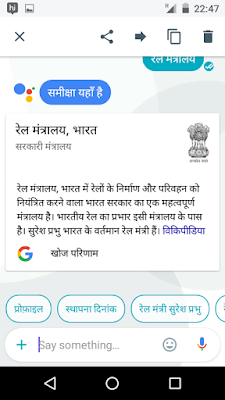 As Google Assistance is one such high flier project of Google that they just can't let it go, now they has given Google Assistance a quite a efficient platform from which we can utilize a lot of Google Assistance at the same time it will learn, develop and grow with the way we talks and learns. 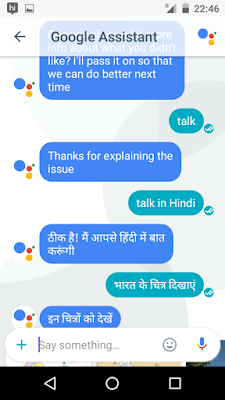 Simply in a word Allo is Assistance. So its not the replacement App of Hangout it means Hangout will stay for those who wants a simple chat conversation Hangout will remain great, even Hangout will remain great for those who runs a online community and we all know in online community we comes up talking with many peoples to whom we don't even know in reality, we're not aware of from where they belongs or exactly what they belongs to, some limited infos and thats it. Allo comes up with the tradition method of creating a account via Mobile No. though Hangout is not like that at all because of its integration with Gmail. 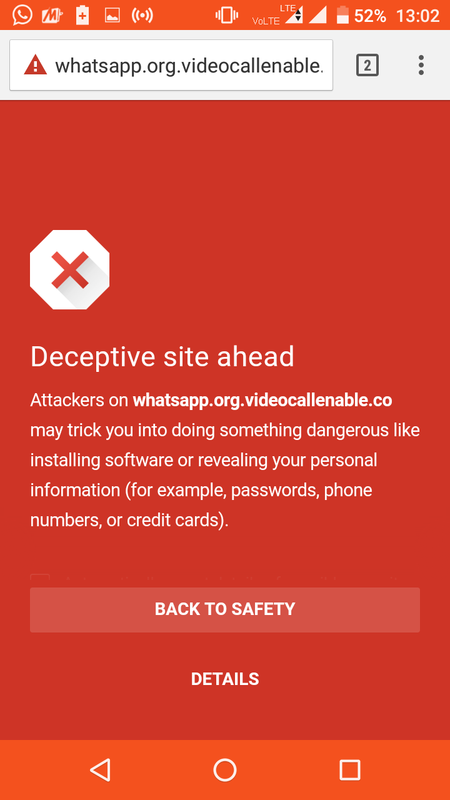 For few Allo may be the another tool of privacy breach, as Allo is working in a phenomena of Mobile No. it means mobile no. is mandatory to setting the account but for those Hangout is present. Its also not let peoples to choose the Username from which they can enters to the online community without sharing their personal no. like Telegram, well we can't expect Username funda from Google anymore now, after they decides to push Google+ with everything Google owns and offers so their weird username policies which won't let peoples to choose usernames of their likings as well. Hence we can't even expect Allo as its a only App tool and nothing to do with web as of now. But how its a breach of Privacy if settling account needs a Mobile No. ? In many way Google Assistance is a dream project for Google and as Google already said that they will observe peoples chat, their style their location etc. etc. to make Assistance perfect surely if you need someone to assist you have to sharing things as well so not enough of the words on Privacy breach. People who don't have anyone to talk can like the Assistance a lot in Allo as if not real then virtual is fine enough. Now Allo is a another bet on Bots which Telegram and Facebook Messengers has worked on to get assistance like in Group Chats if needs helps to decide the Movies or to go for Dinner, Outings and all that these Bots will help you with their best. Thats why Allo is the best possible platform Assistance can ever have and it will allow to become it bigger and better ever. You may bring Google in between the running conversation by tagging to @google and it will represent its view with some cool suggestions. 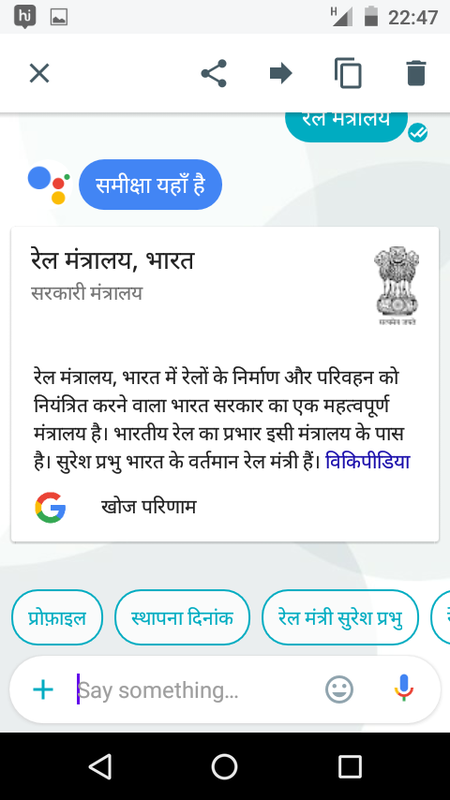 As of now Google supports English and Hindi may learn the other languages as well in near future since Google's Attention is in Indian Market to concur and they're working quite hard to improve their own App as per the Indian standards and needs. So since Google's main push is in India we can't say that Allo is totally made for India and its Market but since its understand Hindi words and phrases in a development mode is a pretty good sign, Localization is first hit of Allo wanted to be in a dominated market of WhatsApp. Nowhere days WhatsApp become such a important part that from Workplace to School & Colleges a group creates and peoples start chatting as per need and remain engage by sharing their knowledge and helping each other as different - different ways. Its simplicity is the key of success from last 2 years, quite a straight forward, without any ad, invite friend and start chatting. 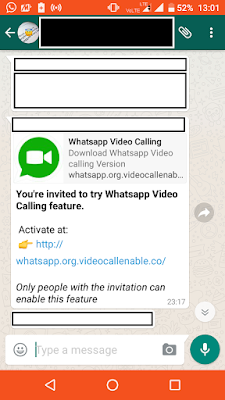 WhatsApp UI is in Spartan and it works great in 2G which is more important in Internet struggled Country with Voice Call feature now and End-to-End encryption WhatsApp becomes a primary source of communication as like its necessary to have. As of now Allo won't allow the sync messages across the devices biggest drawback probably but time after time they will surely overcome on it. 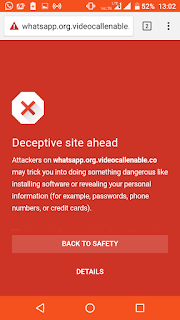 They do have the End - to - End encryption but that is when you opt the incognito mode and not otherwise like in many chat/messengers are now providing. Incognito also comes with the limitation of the expiring the message though its have a logic of secret chat which needs to be kill in specific time frame, but clarification needed whether the message will totally deleted or will save somewhere in Google's server for future references and by reference I mean either it could be from Govt. of the resp. Countries Allo is available !! Rest you will found out stickers out there in the Allo, background will not let you to messed up with your chat and you can play a little bit as well by sharing photos with some quick editing. Overall its a pretty good tool with lots of cool features built after thinking as per Youths prospective. Never mind we needs to give some time to the new way of Allo to replace our current ways to say Hello. First of all for those who still thinking to upgrade to Windows 10 while using the genuine copy of a earlier version of Windows bad news for them Windows 10 is no more available for free upgrade and for those who already enjoying the Windows 10, Microsoft has announced the all new Anniversary edition of Windows 10. So whats new on the new edition and why we should upgrade that although we have to upgrade that but can be later as well if not using the internet connection. So lets figure out about it. 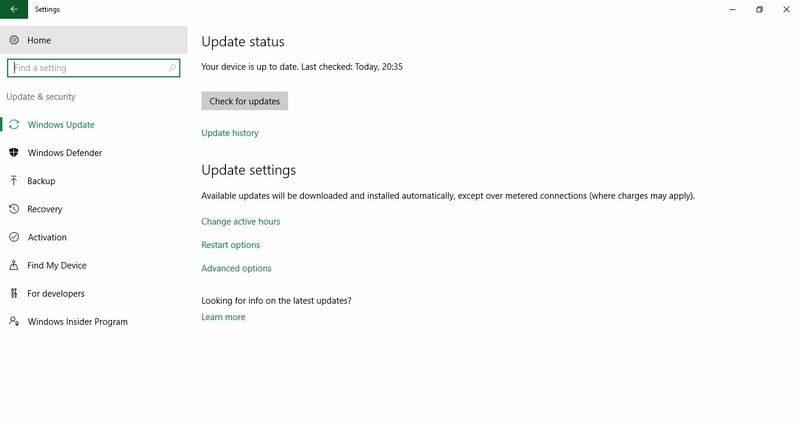 The version of new Windows 10 is 1607, if you still not sure about the upgrade please try checking at Windows 10 Settings > Update and Security. Unarguably Microsoft trying to push Cortana more and making it better then ever so that it keeps on touching the new height in the already growing pool of the competition with the lights of Siri, Google Now, Alexa. Now Cortana is available in Lock screen and ready to serve as well at the same time she can now get a stuff from your mobile as well and to get a benefit its not like you need Windows phone as Cortana for Android is also available. As Cortana can now do anything it can now barge more from your expectation, it can now notifies you regarding the appointments you have made, bill payments you have to done and everything which requires to remember in a busiest life style. So if you made Cortana your partner then she will be the same by reminding everything of your professional and personal alerts. Their is a slight disadvantage Windows having for not getting Microsoft Lumia popular as their dream tool Cortana is not like the one which is expected by Windows without smart phone but well played Microsoft by sees the opportunity and grabbing it by launching Cortana for Android so that users of Android can get connect with their fav. Android in Mobile and Windows in PC / Laptop. Cortana can now alert all your Mobile stuff like your PC / Laptop with ease. It means you need not check your mobile again and again and keeps your attention in the PC itself while working. As usual the one thing which Windows get hampered while making Microsoft Lumia famous is Apps, Nokia got failed and same faith is with Lumia despite of so much to offer from Windows. The one thing Windows can't match with Android is the amount of development in App stores compare to what Windows is offering. Quite limited. One problem with Windows is their UWP (Universal Windows Platform) scheme which let the offerings limited with Anniversary edition they might try to pull it off, but still Windows Store is like a small pond. With the anniversary update now you have a option to choose the themes between Dark and Light. When Windows 10 get launched then its having lots of hidden themes and only via Registry trick only one can get it. But with new Windows 10 edition now users has a chance to select the Dark and Light Theme. Path is Settings > Personalization > Colors. But its not like that every App will follow the command. Only Windows Store App will follows the same and third party App has their own settings to get the colors changed they will not listen to the settings you applied via OS. Infact File Explorer will also remain the same as White like always. The biggest drawback of Edge is not having a Crome style extension thats why despite of so much promise during the launching with Windows 10, Edge lost the early charm but that is going to back with the anniversary edition as Edge is going to support the Chrome style extension, similarly as Firefox is also looking to have such. As Microsoft now going to provide the tool which will quickly convert the Chrome Style extension to Edge extension. Like any advance and smart browser Edge also feel the heat took the challenge to make the most out of it by bringing the missing essential. Edge now supports the Pin Tab it means now you can pin the most browse website so that you need not to write the URL or search of it. Just a finger tip to reach on it as you can pin it safely and its now a click away. 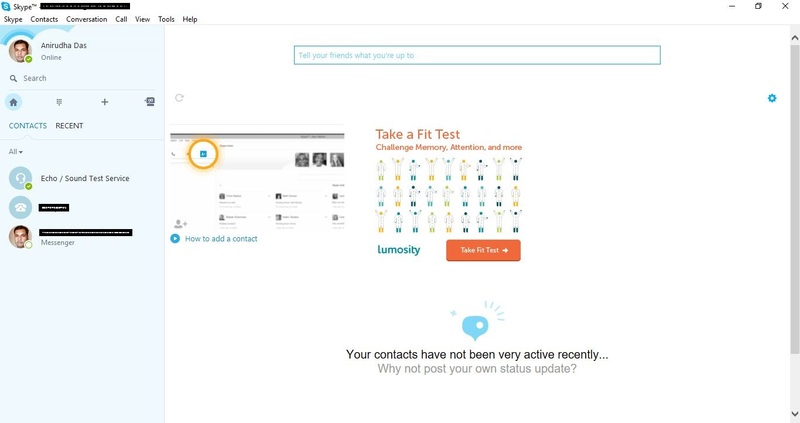 With Web Notification you will now be informed with every alert like a new mail, message etc. As with the icon notification will be there to alert you regarding it. This is some cool stuff added in Edge to make sure that basic necessity to fulfill the demand of a Edge users will be there so that they don't turn off again. Click to play is latest stuff following off a footstep of Chrome, it means anything which is not integrated with the page will not play until you wants it like commercial. Any video and games of the website will work according to it but not the one which added separately. 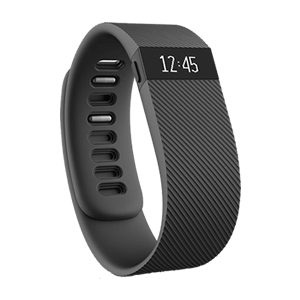 This is quite a unique feature Winodws has posted where now we can unlock the PC with any companion device, nowhere days fashion of fitness band is on role it means the fitness band can be used for the authentication to lock the PC without any effort of typing the password, it will also help to keep the PC secure even after compromising from a password, how much effective it will be only time can tell. 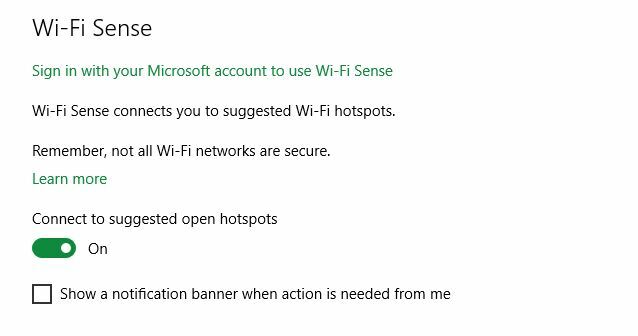 Controversial feature for those who has tried once to check what Wifi Sense is all about, as it used to allow to share the Wifi Network and its password with Facebook, Outlook.com, Skype contacts. It was never a known feature to many as its having quite a confusing short description which doesn't explained many hence it gone underfire and retired from the Anniversary Edition. Wifi Sense is although there but not with the offering of the past. You can still get with it by going to Settings > Network & Internet > Wifi > Wifi Sense. Windows Defender is always a tool to protect the OS which is built in to do so, despite of you installed Antivirus on your system. It will work its own task and let your antivirus to do its. 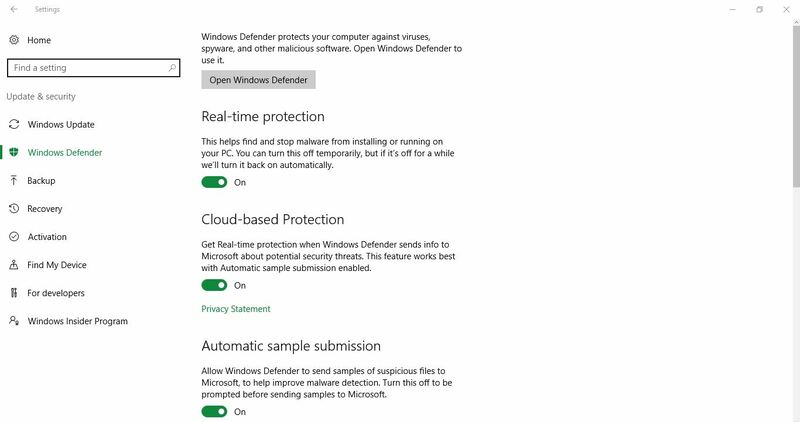 Windows Defender is a kind of extra layer of protection from the computer as it will remain disable with the current Windows 10 unless your primary Antivirus is in charge, but it will turn on occasionally scan your PC whenever require. If you not having any Antivirus then surely it will not only Scan your PC as per scheduled and will keeps on checking the real times as well. Microsoft has changed the way Skype was during Windows 8 and Windows 8.1 which used to offered Skype for Windows and Skype for Windows Desktop separately. Now under the new program everything will be common under the new Universal App, it means no separate App for Voice Calls or Video Calls or Messaging only 1 in all. Windows 10 supports Linux !! 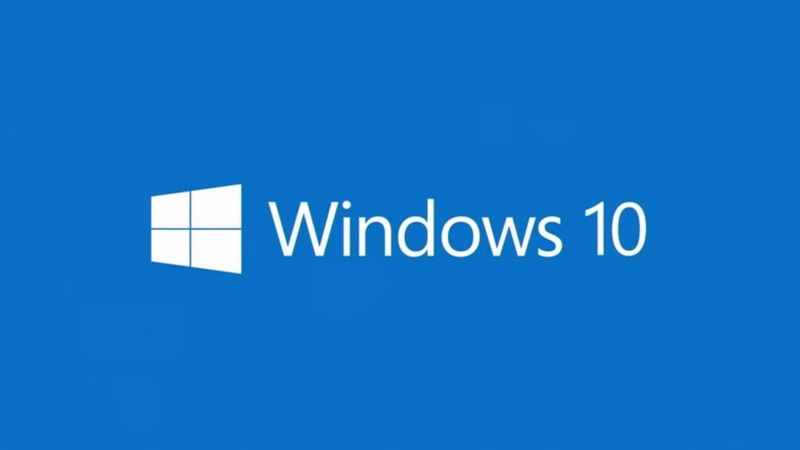 This is one of the big breaking news with Windows 10 as its now supports Linux commands. Its now supports its own Bash Shell. This is not a part of a Virtualization but full fledged Linux in Windows 10 with a partnership of Ubuntu it means all supported Ubuntu commands will be applicable in the separate Bash Shell of Windows 10. Big revolution but news is not that dashing as its looks like because it will run all the basic binaries which comes pre loaded and built in tool comes with Linux shell. As it won't support any Graphical application or server software. So good for some extend who is used to Linux wanna try in Windows. 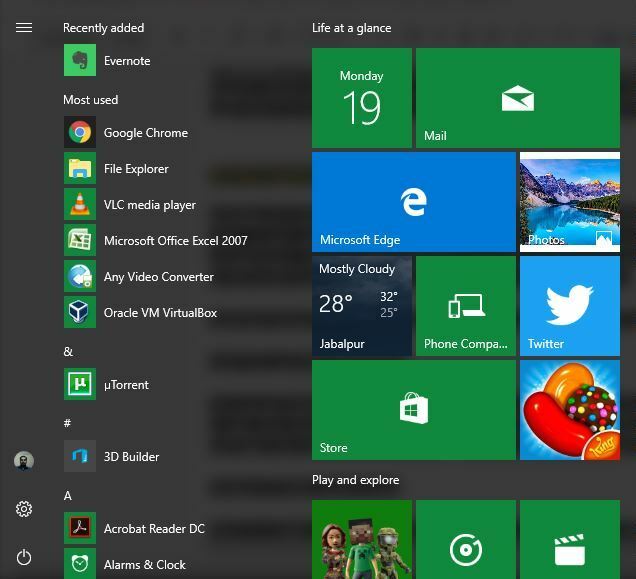 Including of a Start in Windows 10 is itself was a blessing and now with anniversary edition it got better, "All Apps" is now removed instead you got the full list of the installed Apps of your system one by one with arranged form. Start now starts with Most Used App, in between Promoted App based on your usage chosen by Microsoft to give a Commercial then other apps as installed by you. Important buttons like your Account, Settings and Power is going to be in a left side of the Start button. 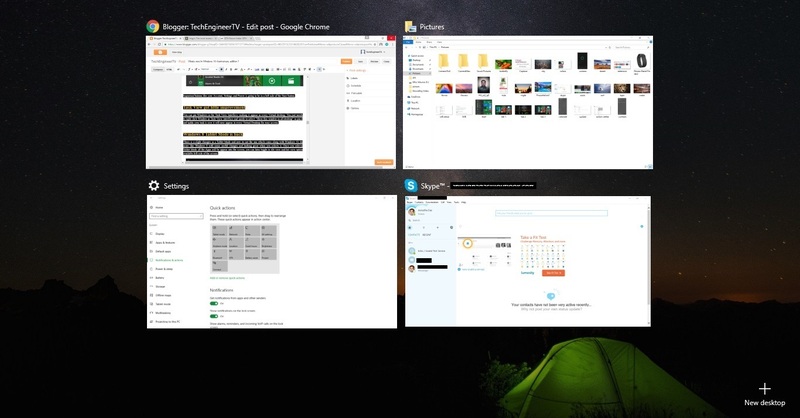 You can pin Windows in the Task View Interface, making it appear in every Virtual desktop, You just needs to right click Window in Task View Interface and needs to select "Show this window in all desktop" to pin it and tadda your task is over it will now appear in every Virtual Desktop for easy access. There is a slight changes in a Tablet Mode and now its not the one which come along with Windows 10, its more like Windows 8 with some useful changes and looking great when you selects it. Once you selects Tablet Mode all the Apps will be appear into the screen, you can later toggle to tile view and list view option available left side of the screen. 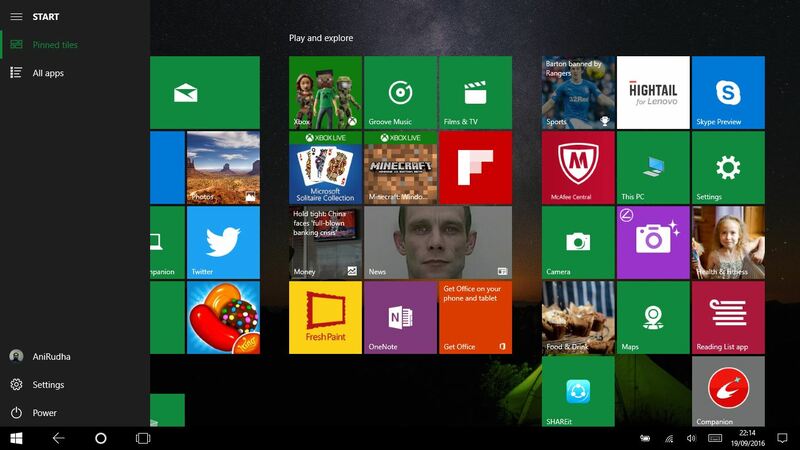 You can select Tablet view under Settings > System > Tablet Mode and enjoy the more dashing mode of the Windows 10. Another great outcome we got through Anniversary edition is Taskbar integrated with Calender, so now you can click on to the time and check the entire calender itself and list of scheduled if you made any. If any are there then click on it or tap on + symbol then Calender App will be open. This is a great modification again by Windows 10. Taskbar now comes under Settings > Personalization > Taskbar. 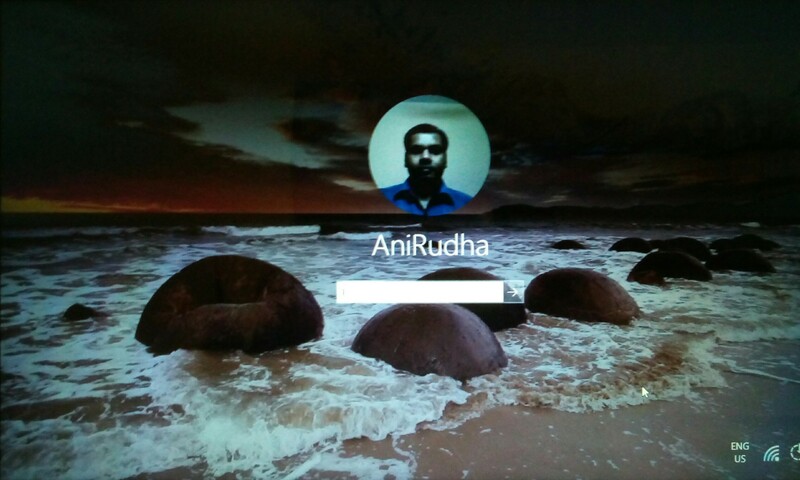 Lock Screens looks to be worked with the new edition as its now more catchy with background photo along with profile photo of yours in the system. Also now you can use apps like Music to control even without Unlocking it or connect with Cortana just needs to assign some settings to make sure that its works for you. New Lock Screen otherwise works like a Lock Screen of Mobile with PC attitude. No its not that you can now opt out from updates but now it won't restart your computer while you'e busy with some important stuff. Basically this move comes for those who're in the infrastructure environment their device remain connected in the Wifi zone which allows Windows to update the system from background and any update needs a restart before this there is a lot of criticism for the same as when you're busy with your stuffs its start asking you to restart the system and if you allows it then remain bored until it won't done doing it. Now Windows 10 clearly asking about your active hours like your working hours basically that exactly at which time Windows won't disturbs you if any update hit into the system. You decides and tell Windows regarding it. The new Action Center is more Convenient and Customizable as well. Its now situated right most corner, whenever notification comes you will be informed that how many notifications are pending to get your attention. New Action Center is convenient and easy to check all the features into once. Opening Action Center will take a less space as well also one click into the middle of Application name it will dismiss all notifications associated with that application. These notifications and entire Action Center can customized as well, under Settings > System > Notification & Actions. You can always choose how Action Notification are considered whether its "Normal", "High" or "Priority" in the Action Center. You can also change the by default settings of 3 Notification par 1 App from the option itself. There is one connect app which needs a focus here although its in newbie stage and might become a broader in near future with every further development. Connect App basically a way to connect with your phone without any Cable or Miracast. PCs with Miracast can also be connected with this App to create a mirror image of the connected PC, its like what we used to get as Remote Assistance in previous OS, but basically connecting a Phone which supports Continuum through Connect is a real excitement and surely Microsoft will works on it. This is what Microsoft majorly worked on Windows 10 with the anniversary edition, there are plenty more things which Windows offer whether a part of some feature or a separate feature itself is important will definitely gets the limelight. 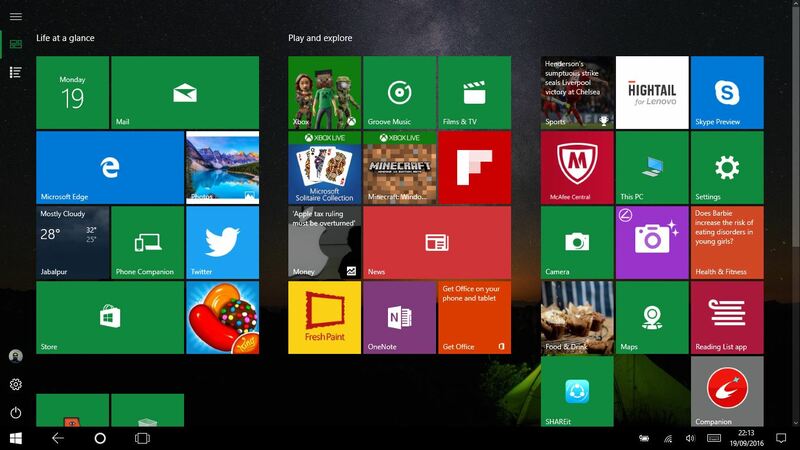 Overall its Microsoft's time now to make their loyal users to keeps excited with what next in the bag. 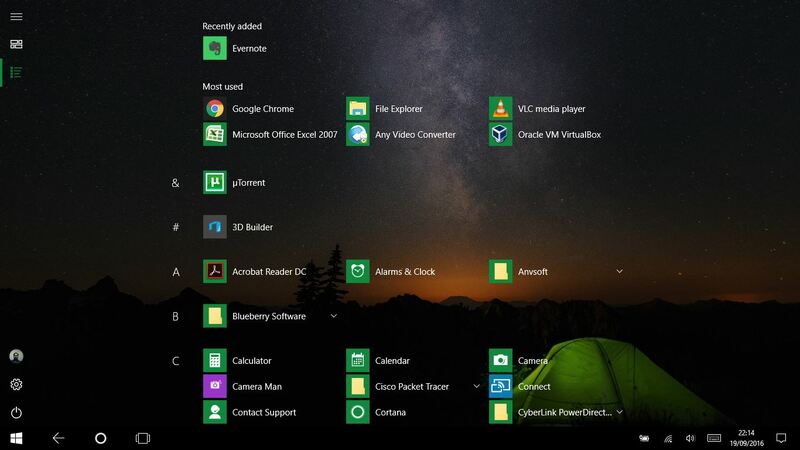 After free distribution of Windows 10 is over, Microsoft will surely will believes to expand the OS to keep the popularity among the users by introducing the new thinking. 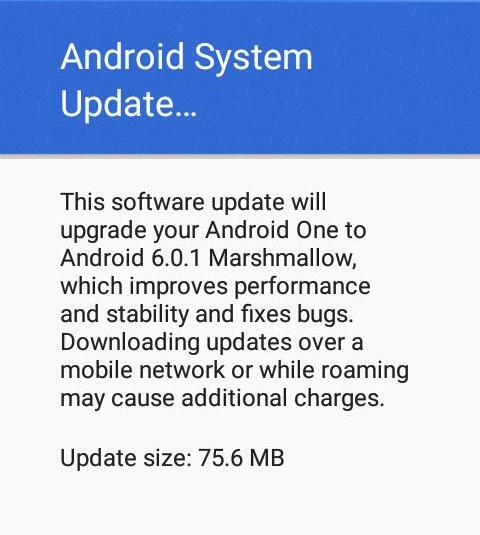 Just few weeks ago Google unveiled the latest update of Android Marshmallow as 6.0.1. Consisting size of some 75 MB. 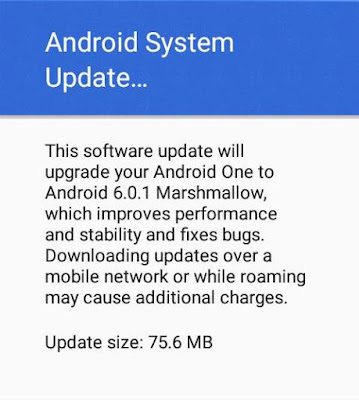 Still many Smartphone users waiting for 6.0 OS but Google released its new version too in a flash. 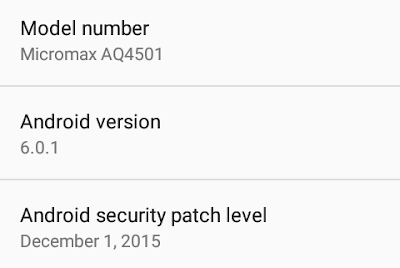 The latest version is as usual released in Nexus Smartphones and Android One phones. "200 New Emoji" created a headlines for the latest one as User was quite shaken up with a immediate upgrade of recently launched "M" OS. Since the recent change is quite small hence named as 0.0.1 means not enough to expect so lets checkout what exactly the new update offering us. As mentioned already, 200 New Emoji's was and is headline seeker of this brand new update. Earlier Apple added 150 emoji in iOS 9.1 so Google walk 1 step further by adding 50 more in the list. Google and many OS developers are now realizing the importance of a Emoji as it become a way to express our feelings with Emojis. So more and more catchy emoji's will add a value for Android Marshmallow. 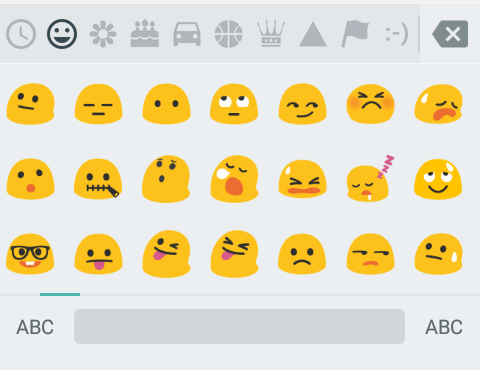 These are a part of Android Keyboard and one has to upgrade our Mobile's OS before to use it. No other download from anywhere. Now we can launch Camera by pressing Power Button twice even when phone is locked. Latest Android Marshmallow gave us this power to launch a camera within a second although Android One phones already have this Quick Launch Camera Icon which not requires anyone to even unlock the phone, user just needs to swipe their fingers from camera icon to open the feature. But now user having power to choose anyone of their suitable option to open Camera. Since Google trying to adopt basic mobile's feature and start mixing it with Marshmallow hence launching Camera with Power Button is another step as many old phones used to have such features and peoples was missing those golden days. As per the reports that Google Unified System with Bluetooth Volume means now for the users no needs to tune both devices, tuning system volume is sufficient. Such Bluetooth systems are now common in Vehicles, Headphones and Speakers. Craze and Demand of Wireless Products are increasing as well hence its a must needed function in this era. As per the reports the new Tablet UI having little bit change may be or may not be noticeable to everyone because it is specific to some devices only or may be in testing mode as of now can't be explain more because this new tweak is specific to Tablets or 10 Inch devices only hence may be in upcoming days we can found more work on it. With Marshmallow a little improvement has came with Copy & Paste but most of the time peoples messed up by copying a full text while selecting, some times few words even delete because of it. 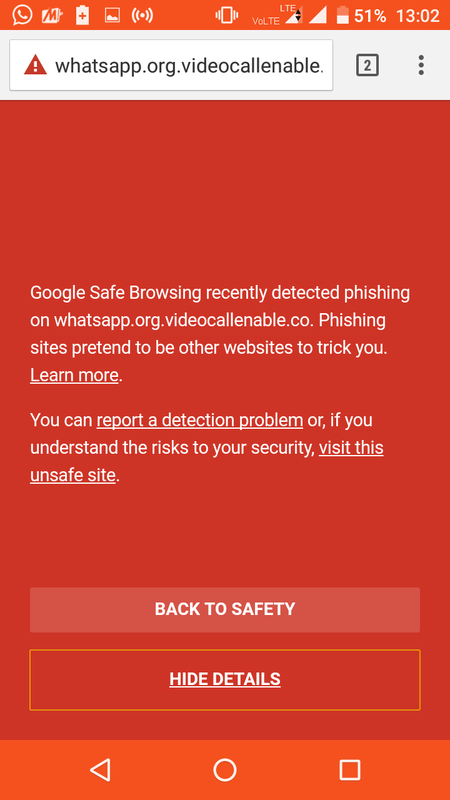 With new update improvement made on this space as well, since stability was required during Copy Paste hence Google tried to work on this feature as well. In the era of online world threats are keeps on coming hence software vendors remain active to work on this field. 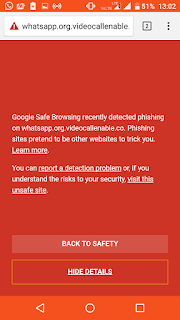 Since Big Internet Giants like Google - Microsoft are the leaders of Internet development hence any kind of theft with a data or bugs in Security are enough to make a mockery of these big MNCs effort. 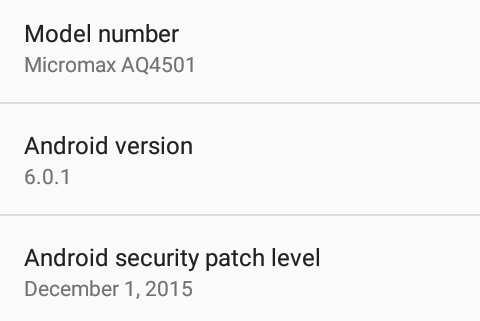 As Google mentioned that in every month they will release the Security Patches hence as of now Marshmallow users are having the same. Overall the new update is a cosmetic surgery of Android Marshmallow, remember I already said that not enough difference you will found in Lollipop once compare with M but you have to search of them to live the beauty of the latest OS. As of now the latest OS is a big breakthrough in Emoji lineup and little bit improvement in the system, we can expect more from Android in Upcoming Days - Months.